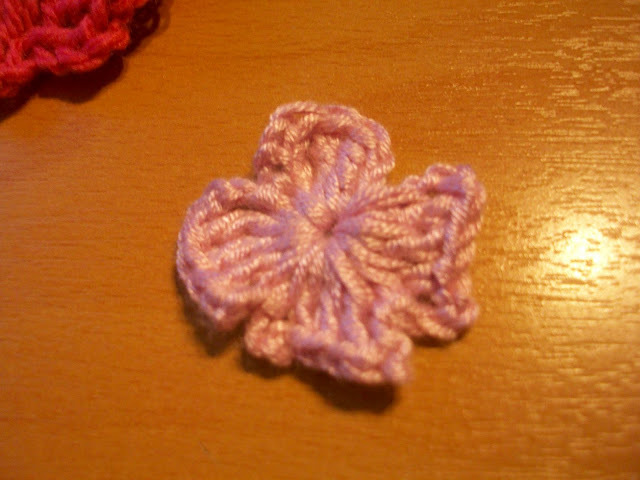 day 344 and those who have been following since the beginning will know i have no crochet skills but it was my new years resolution to get some this year ... it has been a slow process but i am getting there thanks to my dear friend dee and some lovely tutorials i have found on pinterest. today i had some time so i thought i would give pattern reading a go :) ... hope you are proud dee, i am taking your advice! 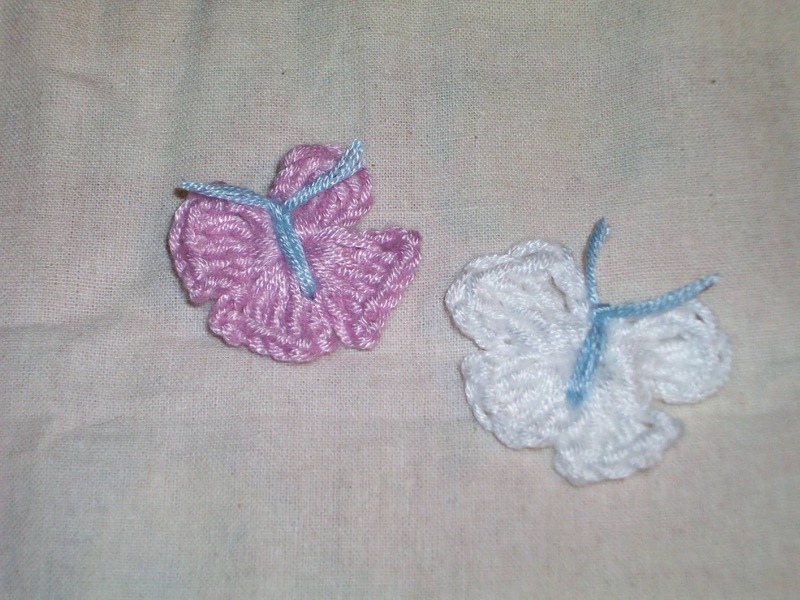 i found these sweet little butterflies on little birdie secrets, they were too cute and looked like the perfect size for a weary crafter to tackle today. 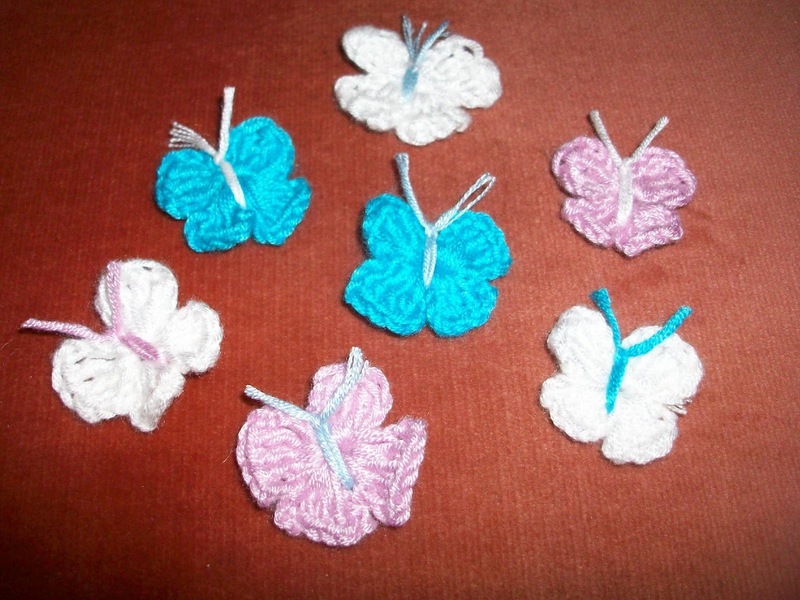 the blog offers tutorials and patterns for several different sizes of butterflies so you can make them to suit your needs. 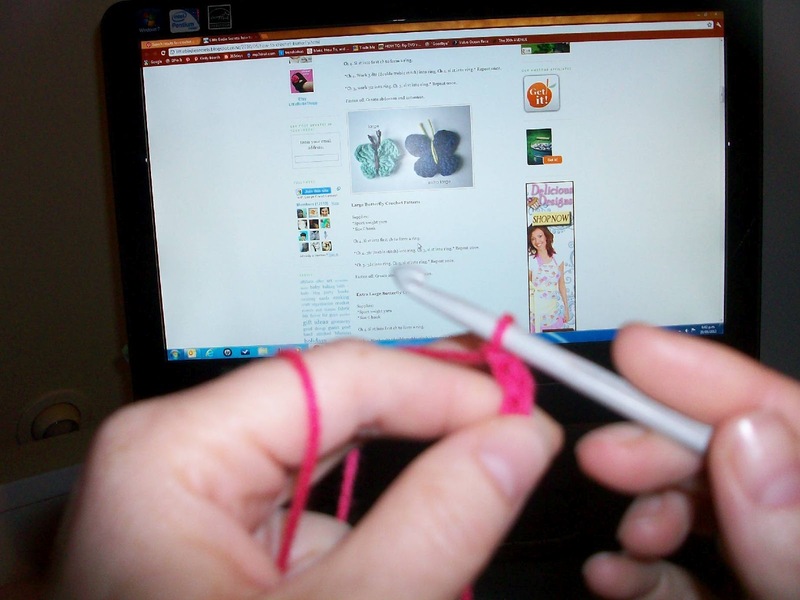 the tutorials are also pinned to my crochet ... my new years resolution board on pinterest. 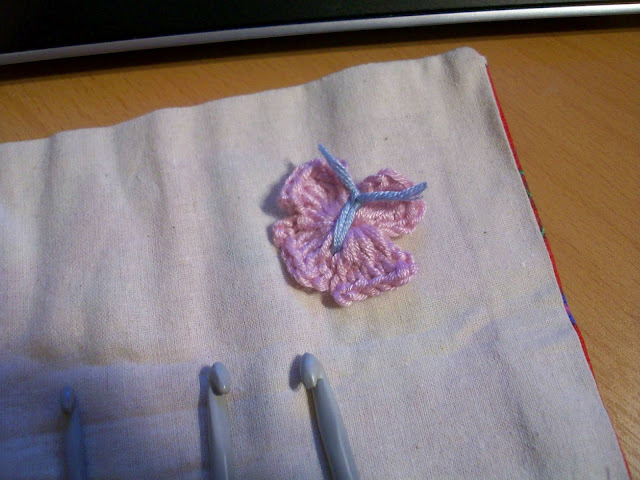 i used a 100% viscose type wool as it had a little shimmer to it i thought would be perfect for my little butterflies. my lovely mum photographing me trying to crochet! ... and then they just started multiplying! my sincere thanks to little birdie secrets, the patterns were so easy to use, i will be back to pin more of them to my boards to make some other crochet beauties as my skill develops! Love that you're starting small and they're multiplying fast!! You'll be making blankets before we know it :0)...look forward to seeing how you use them. 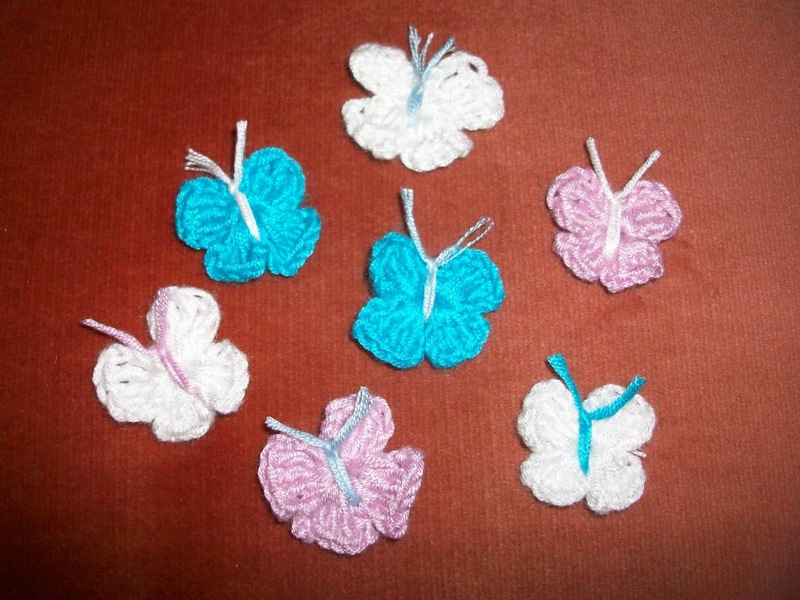 Your rabble of butterflies is adorable and are going to look so sweet scattered around the house!